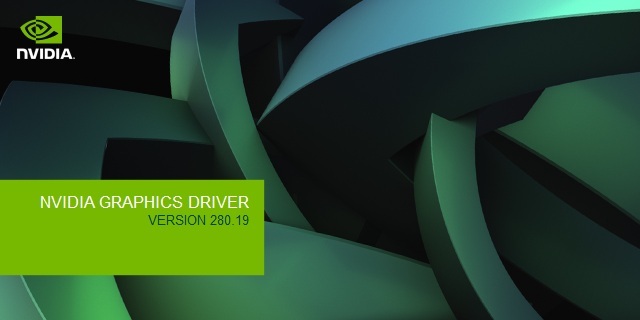 Nvidia has made available a new GeForce beta driver version 280.19 that brigns some interesting new features and improvements to the 3D Vision support. The new drivers add support for viewing 3DVisionLive.com and YouTube 3D with SLI multi-gpu configurations, although currently 3D Vision window mode still does not support SLI for 3D games and applications, 3D Vision Photo Viewer, or the Video Player, so you should have that in mind if you are using SLI. The new beta driver adds support for Window mode for 3D Vision Video Player, however this requires you to have v1.7.2 or higher of the player. There is also support being added for three new 3D Vision projectors, these are: Acer X1111, BenQ W710ST, and NEC NP-V300W. – Crysis 2 – rating changed to Excellent. NVIDIA recommends using the v1.9 game patch. They have updated the 3Dvision video player to, version 1.7.2 now includes MVC support for 3D bluray. Trine worked even with older 275 releases, you just need to enable hide 3d stereo effects and then enable 3D vision ingame with CTRL+T. So, Crysis 2 has real stereo now? Before you rush out and buy 3 monitors and needed cards, etc. check out the “3D Vision Surround” forum. That is of course, on the Nvidia Site. basically nothing has changed, it’s still the crappy fake 2d as before. with dx11 enabled and patch 1.9 and te 280.19 i can change dof and convergence did you even try ? it’s not a matter of changing dof and convergence, it’s the rendering that is a fake, nothing has changed by the way, it’s the same 3d of previous versions. obviously i tried but who cares to change convergency using the emitter or from the application option? that is not the problem. Too bad, I was hoping they’d unlocked the true s-3d. Guess, they they are afraid of issues with the effects and performance degradation.